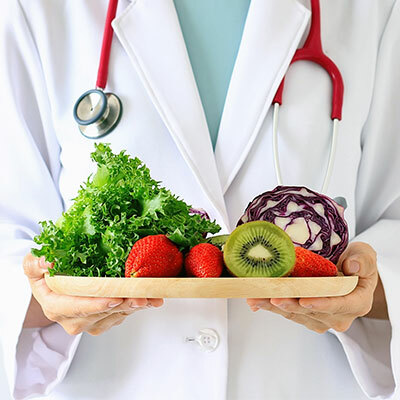 Understanding the role of nutrition in disease prevention and management will help your sales team position your products and services throughout the patient care continuum. TThis module discusses the proper ranges of key dietary components including carbohydrates, protein, fat, sugar, salt, alcohol, caffeine, and water. Research indicates definite links between diet and risk for developing cardiovascular diseases, such as coronary artery disease and hypertension, as well as diabetes mellitus. This module describes the impact of diet on the development of these diseases. It is important to eat a balanced diet to ensure we get all necessary nutrients. However, guidance is required to determine how much of these nutrients should be eaten every day. People generally require different amounts of nutrients and energy. Furthermore, our nutritional needs differ at each stage of life and are affected by other factors, including disease and injury. This module discusses these nutrient standards and food guides for health promotion. This module discusses the six basic nutrient categories and their vital metabolic roles. We will also briefly discuss food components such as dietary fiber that are considered beneficial to health. For ease of learning, each category is considered separately, although none of them ever works alone. This module describes the importance of nutrition in the therapy of patients with cancer. This module discusses the relationship between diet, obesity, and illness and describes the use of exercise and weight control in the prevention and treatment of obesity. Gastrointestinal (GI) problems affect the body's ability to absorb nutrients from food, which is what provides energy and maintains body tissues. Gastrointestinal problems include peptic ulcer disease, inflammatory bowel disease, diverticular disease, and celiac disease. This module will also review liver disease.